The Wessex is available in three different styles and sizes with made to measure options. 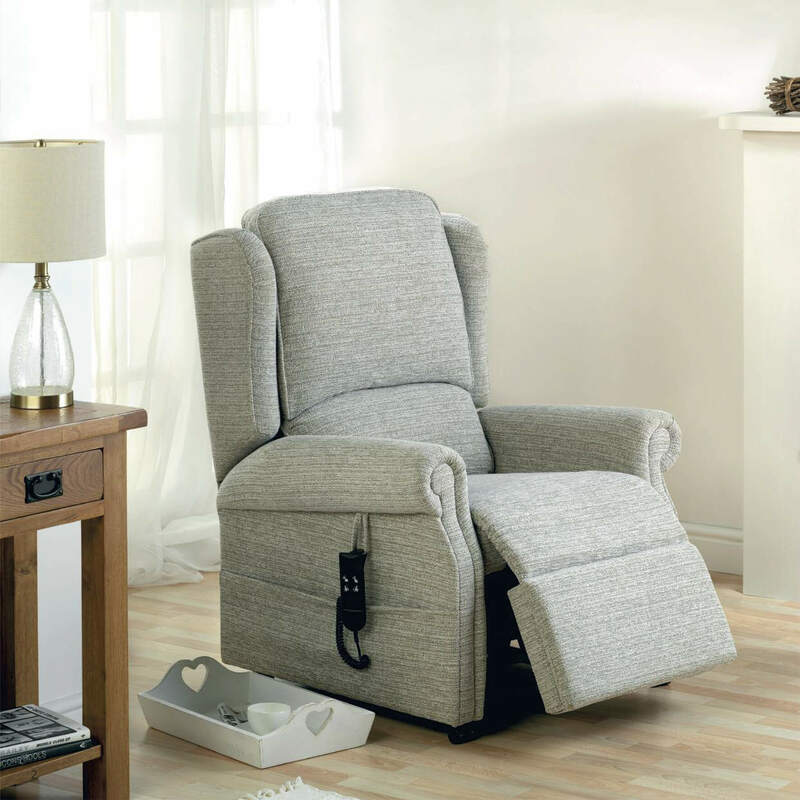 The Wessex includes a mechanism which gives you several rise and recline options. These additional movements give you a little extra help when standing and moving away comfortably from your chair. On this chair, you can choose from three rise and recline movements including Single motor tilt-in-space and standard dual motor. On the side of the chair, there is a handy pocket to clip the handset to or store papers and magazines. Designed with high tensile steel coil springs which will provide you with consistent support during its lifespan. The Wessex also comes with many different fabric options. A sofa, static chair, and footstool are also available in the range. For more information on our range of riser recliner chairs, please contact us today!